Fire Safety Rocks: Siren's new helmet and doggles! 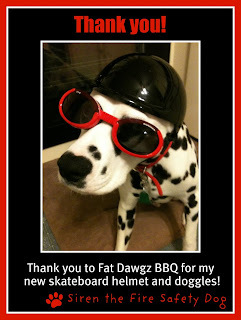 Siren the Fire Safety Dog showing the love to Denise from Fat Dawgz BBQ for the new skateboard helmet and doggles. His new helmet and doggles will help keep him safe! 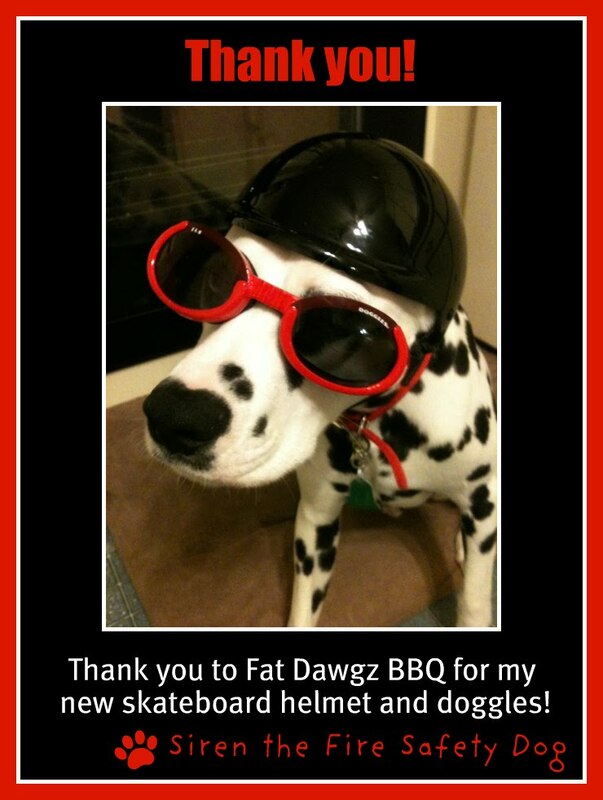 Thanks so much Denise and everyone at Fat Dawgz BBQ!